Galco provides a full technical service for Engineers & Architects in Ireland including literature, telephone enquiries, plant visits and in-house CPD presentations. 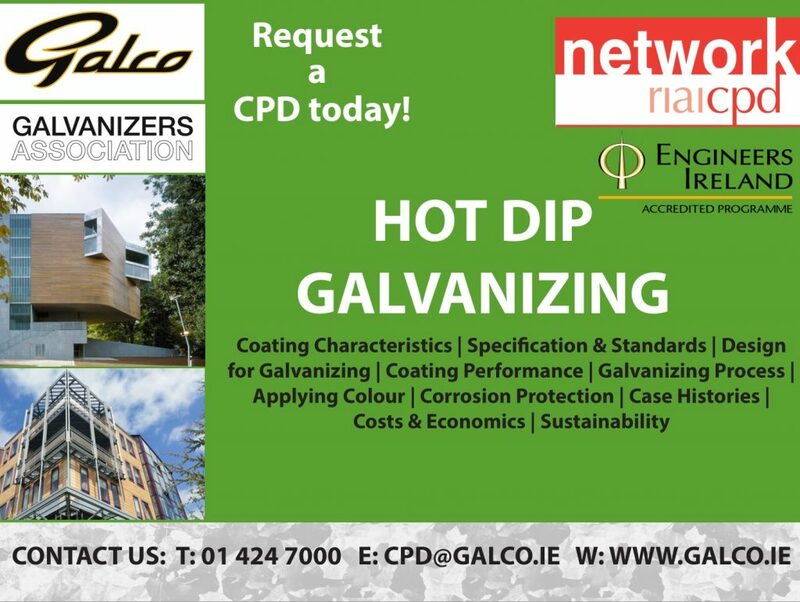 The course describes what Hot Dip Galvanizing is and corrosion protection it provides. It also includes the process of application, the relevant standards, quality assurance, on-site inspection, life expectancy and sustainability. It will also cover the specification of Hot Dip Galvanizing and some important design considerations to be considered. Participants will get a clear understanding of the Technical, Architectural and Environmental advantages to using Hot Dip Galvanizing along with recent examples of practical application. 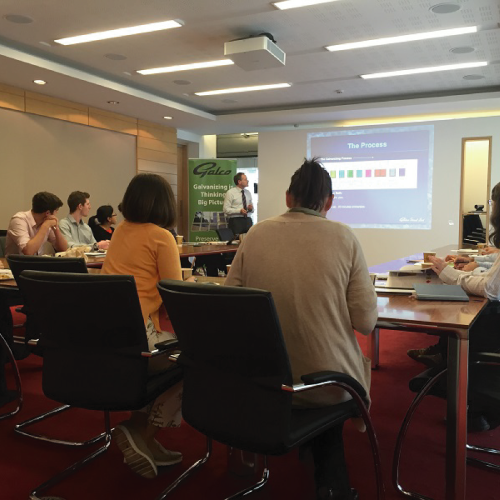 In order to keep you updated with the latest developments relating to Hot Dip Galvanizing we offer CPD style presentations. We arrange these in your office at a time convenient to yourselves.